This project with our longest and most reliable client Rooff Ltd is almost underway now in Blackheath. This project has many elements to it and we’re about to start installing the #Metsec metal framing system to the external facade with CP board and insulation, we’ll also be installing Siniat metal framing and plasterboard systems to walls and ceilings with a mixture of performance boards and insulation within, we also have metal framing systems to ceilings, suspended grid ceilings, plastering works, Kingspan performance insulation, refurbisment works to the existing building. Being a client that we have worked with for the past 15 years, we have built a mutually beneficial relationship and reciprocate the reputation as being reliable in our quality and speed of works on site. We hold this reputation as paramount to our business development and pride ourselves on working hard to establish great relationships with our clients and focus heavily on building and maintaining relationships in order to create an efficient and fast paced working environment where everyone strives to achieve a common goal. 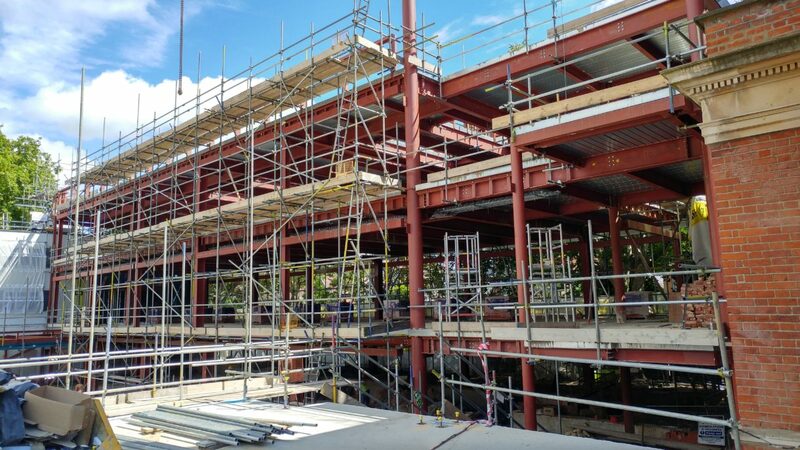 #Metsec SFS Blackheath High School has just started and we are progressing on site very well. Due to the large number of elements, planning our labour and materials very accurately has been key in anticipating how the project will be completed within the coming months. Our high level of communication between our team on site and our purchasing, accounts and commercial departments has meant we are always one step ahead. Though the project has many elements, we confident in our ability to deliver the project to the high standards we have become renowned for within Rooff and will be working on more of their many projects in coming months. The link to this particular project is as below.